We posted this in 2012: Polarities. 4 years ago, P & W implemented a polarities feature into the Therapeutic Pocket book for trialing and testing. The results of our findings led us to conclude that the inclusion of the polarities model was detrimental to a homoeopathic prescription. In the entire writings and case examples of Boenninghausen, NO WHERE do we see the numerical value of a rubric used as an arbiter for prescription. The grading of the symptom rubric defines the occurrence or reliability or clinical observation of its usefulness for consideration, NOT its intensity or absoluteness in a symptoms presence. A value of 1 or a value of 4, does not negate a choice of a lesser “value” symptom if the Materia Medica indicates that the remedy with the smaller numerical value is the most similar. In short, a medical proving of a substance either shows the production of a symptom or it does not. An absence of a symptom is NOT included in a repertorization analysis, and should have no bearing on the choice of medication. Neither should a “lesser value” be taken into consideration as the combination of rubric choices should lead to a study of indicated remedies in the Materia Medica for sole selection of a similar. The inclusion of the Polarities table, in our researched conclusion, is detrimental to the homoeopathic prescription. 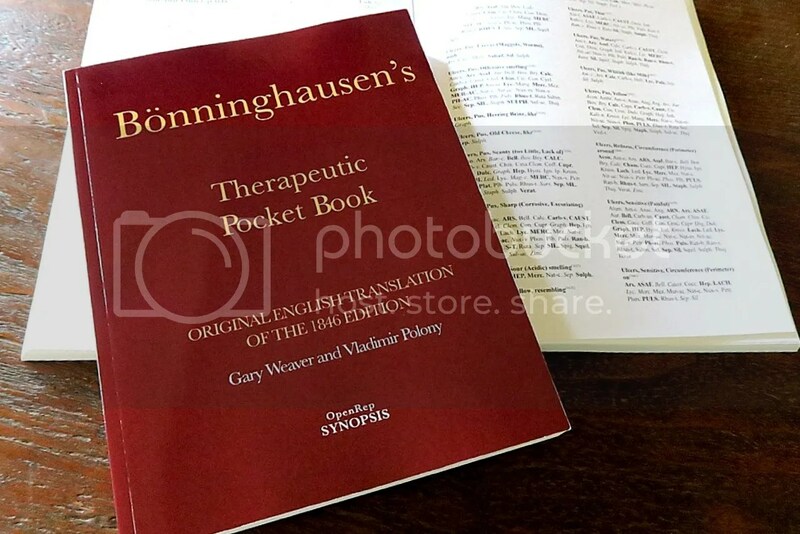 It is flawed from the beginning by making the Therapeutic Pocket the instrument of remedy choice rather than using the book as defined by Boenninghausen as a guide to the Materia Medica. We would encourage every physician to concentrate on accurate case taking and learn to use the T.P.B. as intended for accurate, precise and repeatable good prescribing. The study, being a rigorous clinical test of homeopathy, also unmasked weaknesses of the method. Due to a low percentage of initially correct prescriptions the suspicion arose, that parents do not report symptoms precisely. Analysis of 100 unsuccessful prescriptions in children who finally improved with another homeopathic remedy, enabled identification of misleading symptoms. Frequently these were sensations and mind symptoms, while modalities (especially aggravations) and polar symptoms usually proved to be reliable information for repertorisation. The exclusion of unreliable symptoms led to an improvement of results,but also often resulted in oligosymptomatic cases, i.e., cases with only few usable symptoms. This problem was resolved by an experimental reintroduction of (pathognomonic) perception symptoms into repertorisation, which again improved our positive treatment results significantly. The prescribers in this single paragraph, indicate a telling lack of knowledge of how to use the T.P.B. There is a singular and collective mixing of unrelated symptoms based on a lack of correct application to the case. The whole reason for initial case failure is contained therein. This is not a criticism of individuals, just a scientific observation of their own findings.